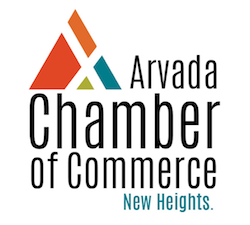 Candelas is the largest master-planned community in Arvada with over 2200 once complete. This means endless opportunities for you to make new business connections in this fast-growing area. Our team wants to help you live The Good Life 365 days a year! Robyn Phipps and her team have successfully earned a spot in the top of 1% of Arvada area Realtors, opening the first ever Keller Williams Mega Agent Office in the city, located in Historic Olde Town. A brand new apartment community in the heart of Arvada featuring 1,2 and 3 bedroom homes and 12 paired homes. Timberline Farms hosts luxury amenities, top of the line finish packages and so much more! Expect a lot, receive more! Working with The DiVito Dream Makers means working with the best in the business! We are dedicated to serving our clients and the community! Visit our website to learn more! Call anytime. Thanks! 14+ years in the crazy world or Real Estate... and still loving it! The Realtor who is also a handyman and the handyman that is also a Realtor. A cooperative agent, call me.